Your black cab tour is where your London adventure truly begins! Visit London Taxi Tours has created an incredible range of private sightseeing taxi tours of London. 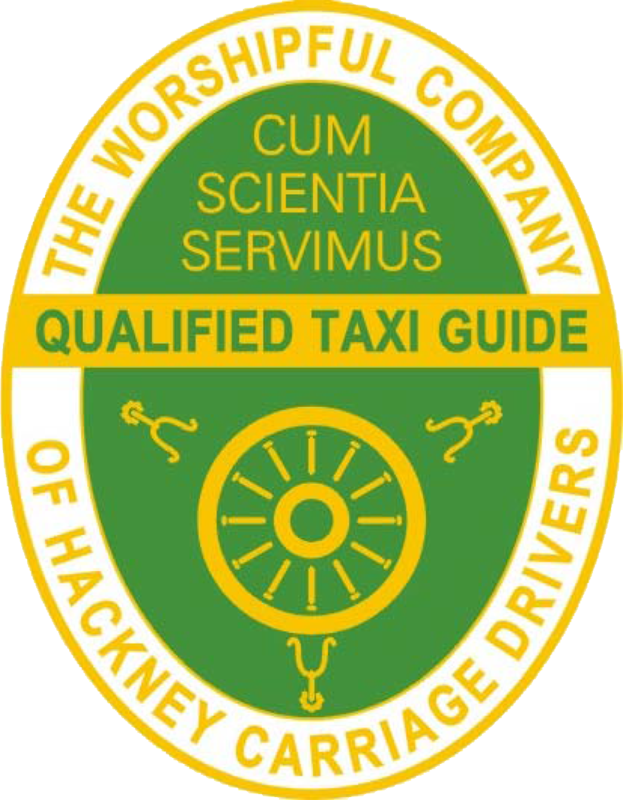 Our diverse offering of taxi tours ranges from traditional London sightseeing experiences, to completely unique tours. 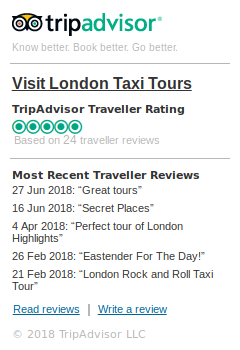 Our big favourites are our London Rock and Roll Taxi Tour and our London Harry Potter Taxi Tour! We also offer bespoke London black cab tours designed to meet your exact needs! Explore London your way! We know where all the best places are, but you can tell our local guides where else you want to see and they will drive you around in your own private black cab, touring London to your heart's content. We are here to help you maximise the time you spend in London and to have as much fun as possible. You get to do all of this in an iconic London black cab with a local London taxi tour guide. 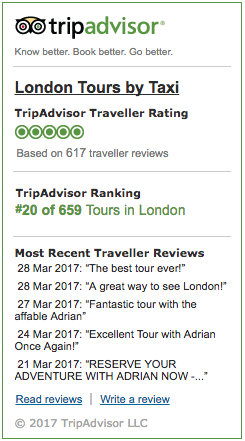 All of our local guides are passionate and knowledgeable about London’s history, heritage, places, and its people. Please get in touch if you have any questions. We can't wait to give you a real London black taxi experience! 7 reasons to choose one of our London taxi tours! Our private taxi tours let you hang out with the people you choose to see London with, without having to spend time with strangers on a public tour. You will enjoy an exclusive sightseeing experience with a personal touch — away from the crowds! With a private sightseeing taxi tour, you can schedule the dates and times that suit you best. On our London Layover Taxi Tours, if you have a long layover or delay, we can collect you from a London airport, squire you around London, and then drop you back before you have to check in. 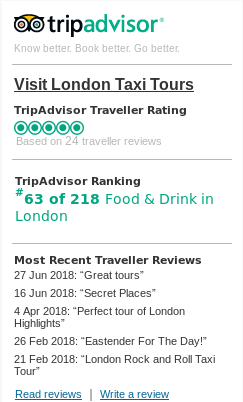 Instead of taking the standard tourist routes, we can tailor your private London taxi tour to suit your interests, including the London sights and attractions you most want to see! Need a comfort break or a coffee stop? Never a problem on one of our private taxi tours! We can easily adapt to the needs of our guests. Flexibility is a huge part of our business. Looking for something really authentic? All our London taxi drivers are locals who are passionate about their wonderful city. Nobody knows London like a London Black taxi driver and we want our guests to have a chance to learn from our guides! Our London taxi tours are completely weather proof... If it rains it doesn’t matter! In fact, it wouldn't be an authentic trip to England without a little harmless rain. Our private London taxi tours are very flexible, so they suit people with different activity levels and are thus completely inclusive. London Highlights, Royal London, Secret London and London by Night — including all of the traditional London sightseeing adventures people love to take when they visit London . Want an alternative London black taxi tour? Seen enough of London's major attractions and want a fresh perspective? Then perhaps you've finally found your perfect London taxi tour! Our London Taxi Tours about people range from the fictional to the real, including villains and saints, and people from the past and the present. Find your famous Londoners here!